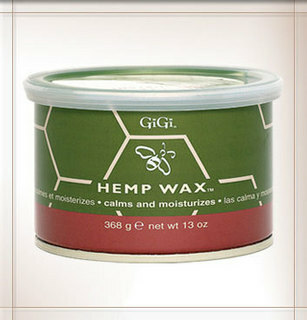 GiGi Hemp Wax with Hemp Seed Oil was formulated to help rejuvenate and re-moisturize the skin after hair removal services and is perfect for all skin types. Hemp Seed Oil is a rich source of many essential fatty acids, which are known to aid in healing skin problems and also possess anti-inflammatory properties. This new moisturizing formula will leave skin feeling incredibly smooth and silky after waxing. The lightly scented wax also calms and pleases the senses of your clients. For use with GiGi Natural Muslin, Bleached Muslin or Cloth Epilating Strips.